Governor Nyesom Wike of Rivers state, has gotten approval of from the House of Assembly to obtain the sum of N20 billion loan from Access Bank Plc. The lawmakers gave the approval barely three weeks after a similar loan of N10 billion from Zenith Bank Plc was approved by the House for the state governor to execute “vital projects”. Wike had written to the House through the Speaker, Ikuinyi Ibani, requesting for an approval to take the loan, which would be serviced through the state Internally-Generated Revenue (IGR). The state chief executive posited that the loan would be used to fund ongoing road projects awarded by the former governor Chibuike Amaechi-led administration and new ones. Twenty-nine out of 32 lawmakers voted in favour of the approval, after giving their reasons for supporting the decision. The lawmakers admitted that most of the roads in state were impassable due to abandonment of the projects, which had caused challenges to members of the public. The Rivers lawmakers noted that the ongoing projects were commercial roads, adding that, when completed, they would accelerate economic dividends of the state. Speaker Ibani, while ruling on the matter, said that no president or governor could fulfill his electioneering promises without funds. “The 8th Assembly will only give approval for projects we know. We must know the reason for any loan facility the government is requesting even now, or later”. Taking a cue from Governor Wike’s recognition of Celestine Omehia as former governor of the state last week the House of Assembly has also given recognition Sir Celestine Omehia as a former governor of the state. His recognition by a motion moved by the leader of the House, Martin Amaewhule, representing Obio/Akpor Constituency 1, commending Governor Wike for restoring Omehia his rights and privileges as governor. He argued that as governor, Omehia proclaimed the 6th Assembly of the state in 2007, adding that: “It is only okay to right the wrong; to remove impediments and ensure there was smooth governance”. The Speaker clarified that the House did not intend to challenge the decision of the Supreme Court on Omehia, but are trying to look back, if there was a vacuum created. 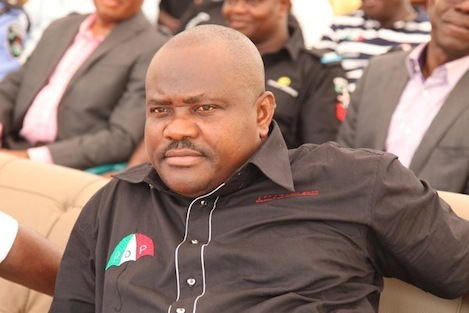 He said the House would recognise him from the period he was sworn-in and sacked by the Supreme Court, adding that, his portrait should be at Government House Port Harcourt, as Governor Wike had done already.